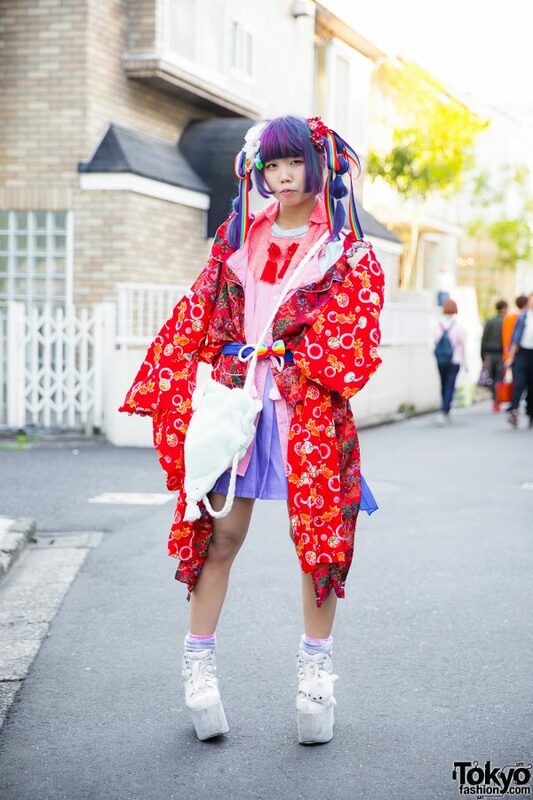 Karinpoco is a 20-year-old fashion student we met in Harajuku. 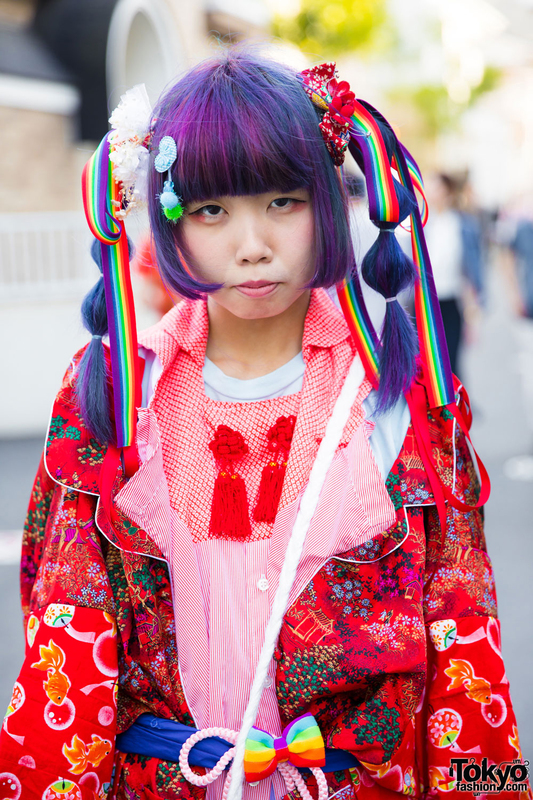 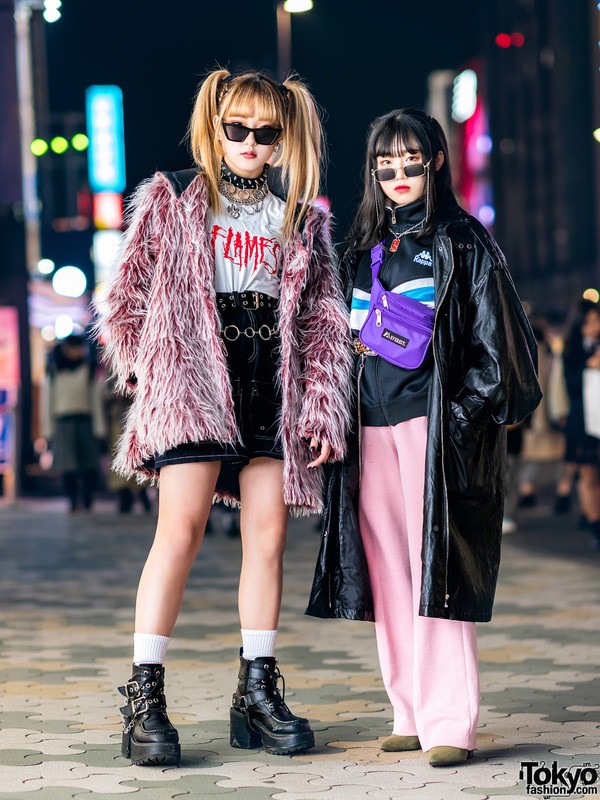 She easily caught our eye with her purple hair in twin tails and her colorful kawaii street style. 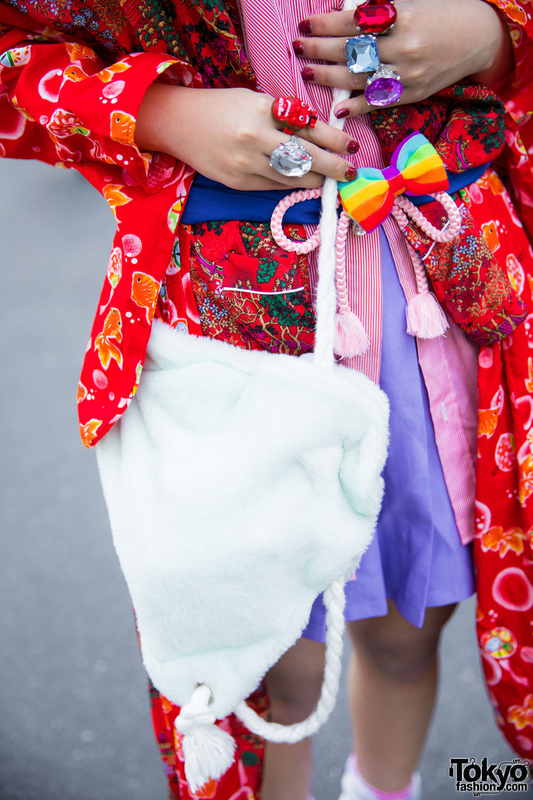 Purple-haired karinpoco’s ensemble features a pink button down shirt, a purple pleated skirt, a remake cherry print kimono coat, pink and purple socks, white platform shoes (one with a whale) from YRU, and a white, fuzzy drawstring bag from Perfect Plan. 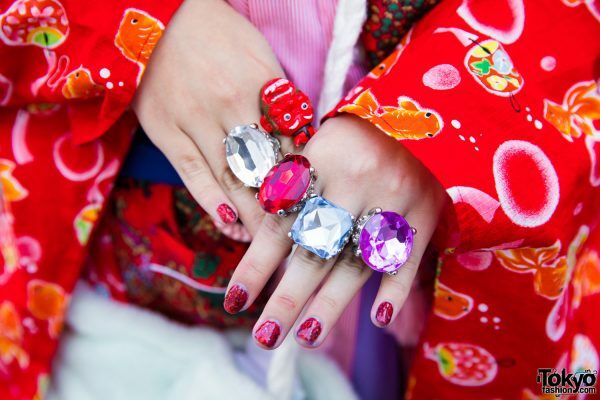 Her accessories – from Okadaya, Freedom, capsule toy, and hand-me-down – include colorful hair accessories, a rope belt, and colorful cocktail rings. 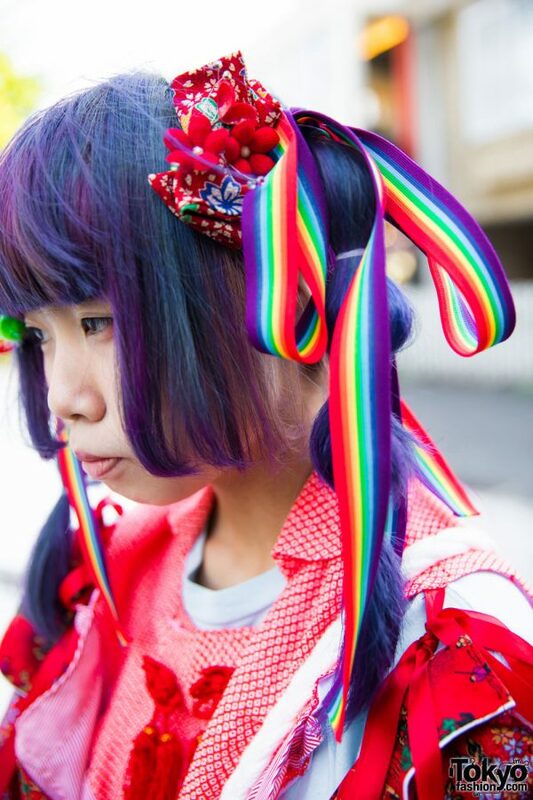 karinpoco listens to the music of Band Ja Naimon! Follow her on Twitter and Instagram.